New for this year is the Harley Davidson Sportster at 60 Show which takes place on Saturday 24 June. A brand new show celebrating the Mazda MX5 Owners National Rally will take place on Sunday 24 September and will commemorate this popular Japanese manufacturer which was founded in 1920. Featuring the grand re-opening of the restored Finishing Straight of the World’s first purpose built motor racing circuit, 110 years to the day since the track was originally opened. Plus the first day of the Double Twelve Motorsport Festival. Highlights of the re-opening will include a re-enactment of the opening parade of 17th June 1907 with veteran cars, displays and demonstrations of surviving Brooklands racing cars. There will also be taxying runs by some of the Museum’s historic aircraft. All Aston Martin owners are invited to drive into Beaulieu and park up within the museum complex for what promises to be a superb day out for both Aston Martin owners and enthusiasts. From the classic styling of the Series 1 to the sleek lines of the DB11, all models are welcome at Simply Aston Martin, which is set to provide a great opportunity to admire other’s vehicles and to connect with fellow enthusiasts. There will be a cavalcade of the People’s Choice Aston Martins from the show. All participants have the opportunity to be chosen as the winner of the People’s Choice Award, selected by public vote. The winner will receive the Beaulieu Simply Aston Martin trophy. 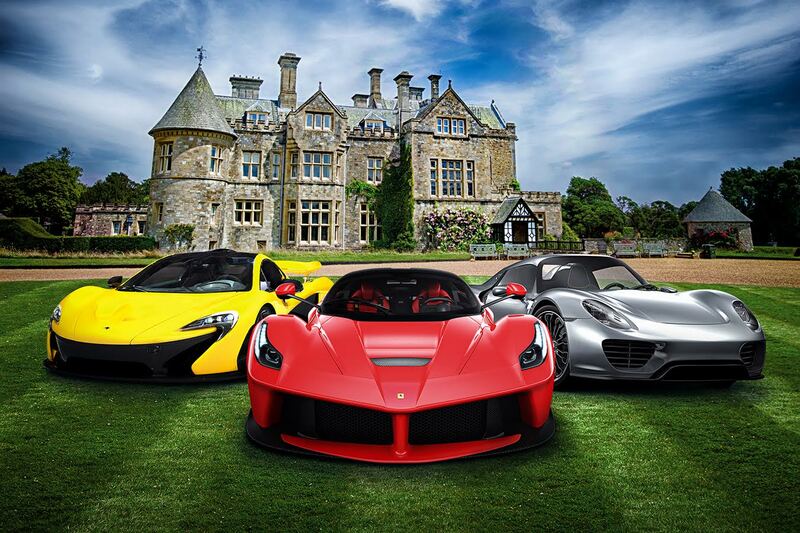 The Supercar Weekend is the must-see family spectacular that brings some of the world’s most exclusive and desirable motors to Beaulieu. See a display of prestigious supercars and hear their distinctive engine notes as they unleash their horsepower on the demonstration run. The Supercar Weekend is a must for all supercar enthusiasts, providing an opportunity to get almost close enough to touch these impressive motors! All vehicles taking part will be entered into the People’s Choice Award with the winner, selected by public vote, receiving a coveted Beaulieu trophy. And…stop press….The world’s fastest road-legal electric vehicle, an Enfield 8000, with quicker acceleration than many supercars, has gone on display for visitors to the National Motor Museum at Beaulieu. Herald in the new spring season with hundreds of Vintage and Classic cars in Stratford town centre for thousands of visitors to enjoy. The 2017 Festival will follow the same successful formula as the past 4 years, with an organised run out into the countryside on both the Sunday and Monday morning, with 300 cars returning to park up on the town centre streets which will be closed to normal traffic. The Featured Marque for 2017 is Jaguar, which means a display of approximately 40 big cats in the total of 300 classics. Coventry Transport Museum will be there on Bank Holiday Monday with a selection of vehicles from their world famous collection. From the distinctive to the exceptional, this is your chance to discover some really rare vehicles, hear about the history and see them running on the Museum Test Circuit. This annual show is a one day only event with over 100 amazing vehicles on display, it is a must see event! A rare opportunity to see inside London Transport Museum’s Depot in Acton, West London, will take place on 22 and 23 April 2017. Transport enthusiasts and family visitors to the Museum’s Secrets of the Underground Open Weekend will have the chance to explore this working Museum Depot, a treasure-house of over 320,000 artefacts from London’s transport history and which is usually closed to the public. Immerse yourselves in a special close-up look at the Museum’s art and poster collection, one of the world’s finest and most comprehensive collections of transport posters and artworks, rarely seen by the public. View the largest collection of London transport signage in the world, which includes samples spanning over 150 years and from bygone eras, with examples of different font prototypes, layouts and design styles on display. Discover vintage vehicles including the Metropolitan Railway ‘Jubilee’ carriage, the only surviving example of a stock built by Craven Brothers of Sheffield in 1892 to commemorate Queen Victoria’s Golden Jubilee. Buses in the Museum’s collection, including the fully restored 102 year old khaki green Battle Bus No. B2737. These B-Type London buses were used to transport troops to the Front during the First World War.